IN-HOUSE RMA and Service Management for manufacturers. Not all products are serviced in the field. The in-house repair teams of manufacturers use RenewityRMA to manage and track RMAs and repairs of products returned for service. RenewityRMA allows the service team to define, implement, monitor and refine their unique returns and service management processes and custom data themselves, without programming or IT involvement. Stop using excels and emails to track in-house service - use RenewityRMA. Pros: It's flexibility to configure it to work with your processes and procedures. It reduces the work load required to process a warranty claim and provides endless amount of data for reporting issues and complaints. It improves the customer service experience. Cons: It's interface with cell phones is not great, it needs to have an app developed for phone and tablet use for consumers. It would also be nice to have an interface to work with ERP systems. Overall: Renewity RMA totally changed how we process our warranty. It dramatically reduced the workload with both processing and phone calls. Our data is now much more accurate and the reports generated greatly helps both our engineering and production departments allowing us to make better products with less issues. 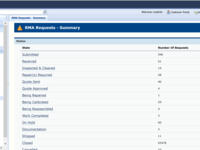 Our engineering department regularly uses the system to analyse warranty data to see if fixes are working in the field. The data also helps our sales department to assure them our products are performing well in the field and give our product development department a road map to make better new products. Pros: Creating my first RMA process was straight forward and the learning curve was minimal. The software allowed us to operate a 24/7 Service organization without adding service personnel. Our customers loved that they were able to use the WEB Portal to create an RMA request at any time of the day no matter where they were located in the world. Cons: We really didn't experience any cons related to this software. We were very early adopters of this software but even the early releases were feature rich and relatively problem free. Overall: My company was able to create several custom processes for several different service and manufacturing facilities. Each facility had unique process flows with the ability to either have full visibility into all processes or tailored visibility for each process and service organization . RenewityRMA allowed us to configure the software to match our current processes instead of making our process fit into something that couldn't be changed. 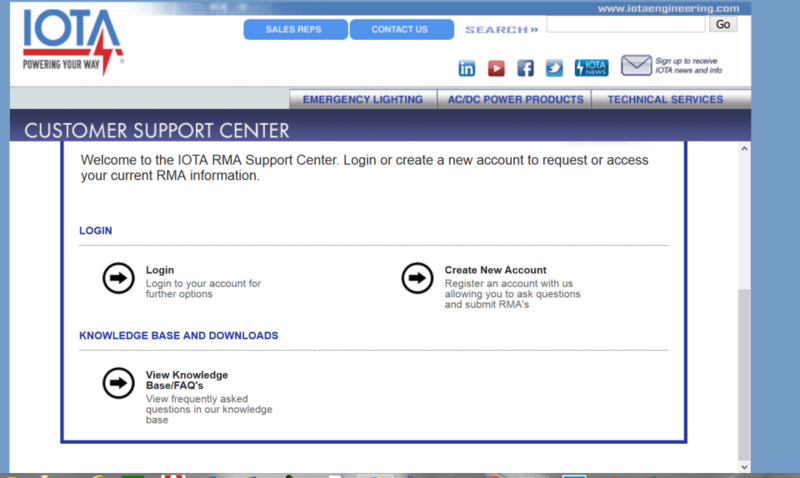 Pros: This software allows us to have a customer facing RMA portal. We designed it to be specific to our company and our products. It allows us to have the work flow we want. This program is the lifeblood of our service business. The support team is great and I honestly cannot recall any issues of downtime because of their servers or software. Cons: The initial set up of this program is not intuitive and they do not have a lot of instructions avaialble to help a user figure it out. There are a few features we would like that we are not able to utilize due to our setup, and changes to our set up cause reporting to go haywire. Overall: Renewity allows us to have a customer facing program to track every device coming in for repair. We send quotes, updates and other communication through the program and that allows us to keep everything together for every device. The program is configurable for our needs and the price is great! 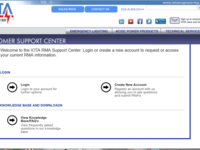 Pros: It is possible to treat tickets and RMA with one system. Customers can organize the information according to their needs. No problems to access the cloud system in 5 years of use. Customer service answers are fast. When custom modifications are requested the process may be improved. Overall: We are using Renewity since 2013. Our experience using the software is very good. We use it to document and treat all our complaints and requests for information. the software allows us to gather all the information needed by the company to resolve the issues that the clients have with the equipment and answer all the requests for information. We are able to connect a ticket with a RMA and manage the return of marchandise since issuing the RMA until sending the replacement part and receiving the defective part. Pros: RenewityRMA is a highly customizable product that puts all of the power of the system in your control. It isn't a canned product that you buy and then try to fit into, it is formed around your process, and then you have the keys to tweak and adjust as you see fit. Cons: I don't think that there is anything that I didn't like about the program, there are enhancements that could be made, and the folks at RenewityRMA are more than happy to accommodate requests, and have always given us great support. Overall: We were running our RMA process through an in-house coded system based on an obsolete program, and it was on the brink of complete failure. RenewityRMA propelled us so far forward that it is hard to believe where we were before. We did a lot of research into available systems, and I thought it ironic that RenewityRMA had the best feature set, and at a fraction of the cost of other systems. Best decision we could have made. Pros: Provides the tools to manage the complete life cycle of returns and allows for the easy creation of reports to periodically assess the performance of our repair and warranty function. Also allows for Trouble Tickets and a KnowledgeBase repository to maintain consistency among support personnel in responding to customers. Cons: Just a comment that like all software, it is only as good as the data entered into it. So prepare a written process and check on a regular basis that data fields are being input as originally intended. 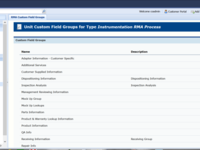 Overall: We really like that the package provides all the tools to manage our RMA process. It triggers various emails to customers so they know the status of their repairs. It also shows our customers that we are committed to professionally handling their repairs and provides the tools for them to find answers on our KnowledgeBase. Pros: What's really cool about Renewity is its totally customizable. The customer is in total control to make adjustment to the software to meet the company's specific needs as the company grows. The customer service is outstanding. If for any reason you might get stuck when setting up customizing the software, a quick e-mail or a phone call is all it takes to get you back on-line. The response time is real time. It is totally expandable as well. You can never outgrow Renewity. Cons: What is there not to like? Renewity has been able to meet or exceed our expectation. Overall: We have been able to double the profits in our RMA service program by entering the repairs and upgrades in a format the customer can easily read and approve. Pros: We use it for our device history record, its extremely helpful to us, for all our reporting, history of our returns and repairs. This is our only history record we us. It is very organized and easy to use. Overall: I am the Frontlines Admin, and I work with Renewity allot. They call or email me right back, we will have conference calls to teach me about the software. They are always there when I need them. Pros: Flexible to configure for all types of processing workflows and data collection needs. Our business has a rigorous technical service depot where we like to track some items that are very product-specific. 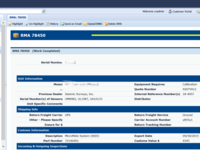 This software allows for all that to occur and shows the customer how their RMA is progressing through the process. Additionally, the software portal that is customer-facing allows for the requester to enter in critical information about the reason for a service request. In the past, this information had sometimes been lost, under reported, or never reported in the first place. Cons: Lack of API interfaces with third party systems. Overall: Customer service is excellent. The team at Renewity is motivated to get the system performing just how the customer needs it to. Pros: Easy to customize my RMA process / flow. Having emails send automatically on a change of RMA state is very useful. Able to create the RMA process by myself, didn't have to pay to have it created. Cons: Creating the processes is not always the most intuitive, and some training is definitely required. Overall: I have received compliments from customers and partner companies on how easy our RMA process is, and how much they like the interface.